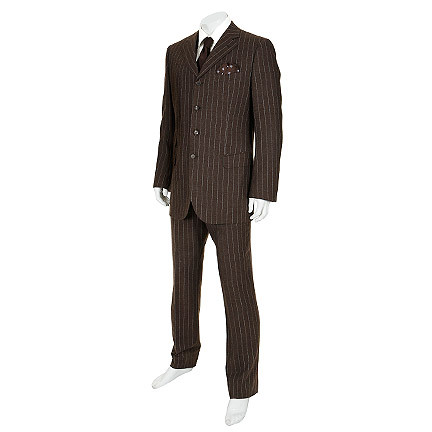 This suit was worn by the character “Eric Northman” portrayed by actor Alexander Skarsgard in the hit HBO show “True Blood”, starring Anna Paquin, Stephen Moyer, and Sam Trammell. 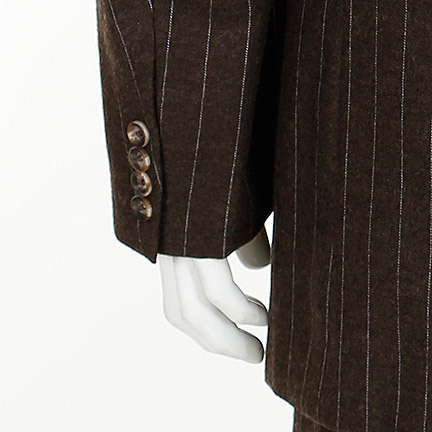 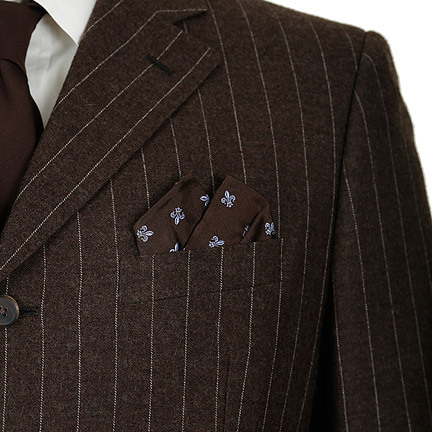 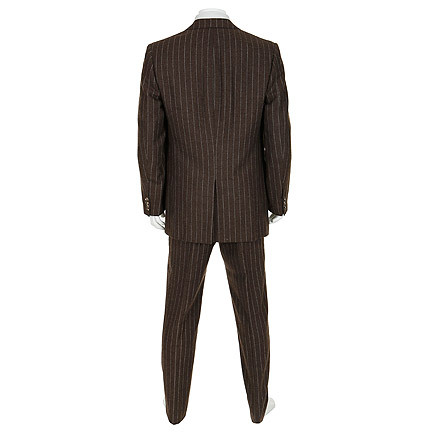 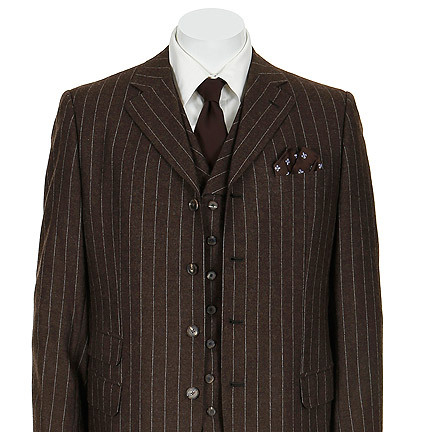 The three-piece brown wool pin stripe suit has a four-button front closure, three flap pockets, slash breast pocket with pocket square, matching vest with a seven-button front closure, two slash pockets, matching pants with slash front pockets. 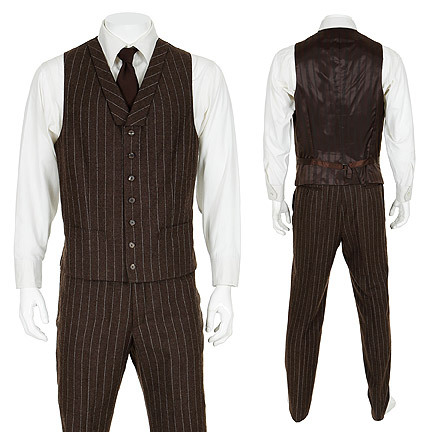 Shirt and tie have been added for display purposes only. 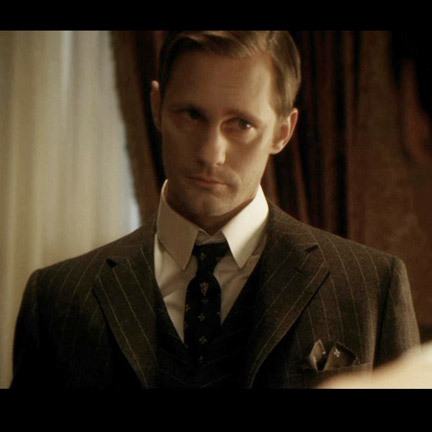 Mr. Skarsgard wears this suit in season 5 episode 3 “Whatever I Am, You Made Me”. 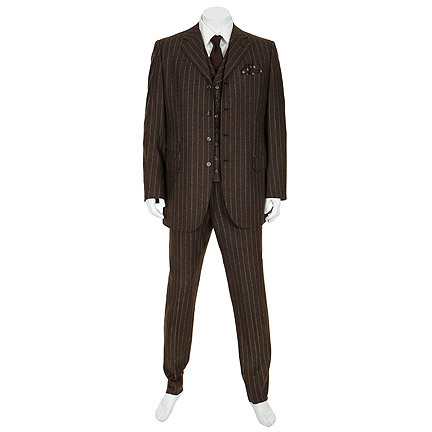 This suit was worn in the 1905 flashback scene when Eric Northman turns “Pam De Beaufort” (Kristin Bauer van Straten) into a vampire. 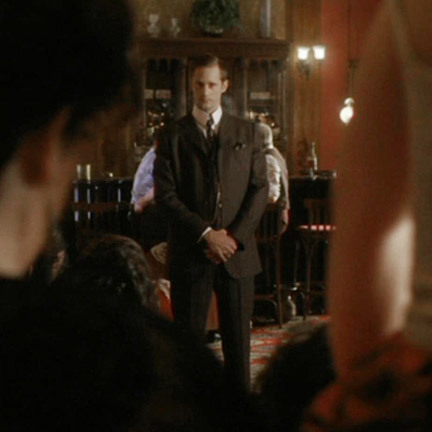 “True Blood” is based on the series of novels “The Southern Vampire Mysteries”, detailing the co-existence of vampires and humans in a fictional small town in Louisiana. 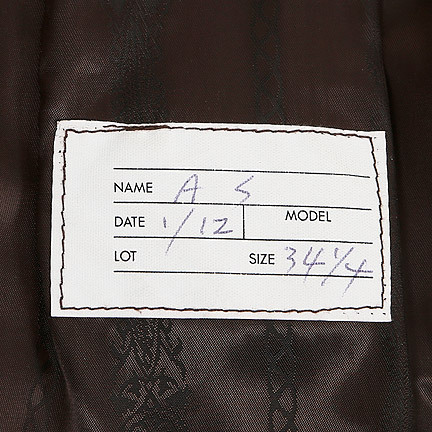 These garments are in excellent condition and are accompanied by a letter of authenticity from the costume house. 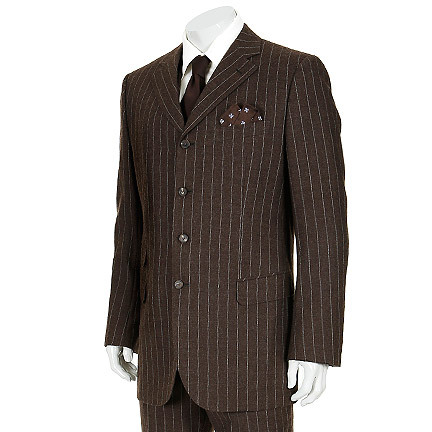 Presented by The Golden Closet, your premiere source for iconic screen used wardrobe, props, and collectable music entertainment memorabilia.